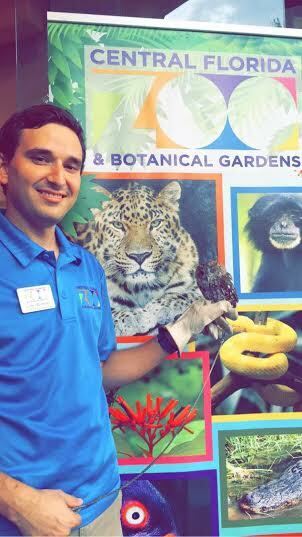 Corey Romberg serves as an Education Adviser for the AZA Prosimian Taxon Advisory Group, helping to design and execute lemur educational materials, messaging, curriculum, and activities for zoos and schools across the country. He has worked in the conservation education field for over six years, and now uses his passion for lemur education to encourage more awareness and action among the general public, and in the conservation education field. As a conservation educator, I am a strong believer in the power of education to influence behavior and attitude changes, and I have seen the results first hand. Innovative and engaging conservation education is key to inspiring conservation action. Zoos provide the unique opportunity for visitors to see these amazing animals up close and in person and be inspired by them. 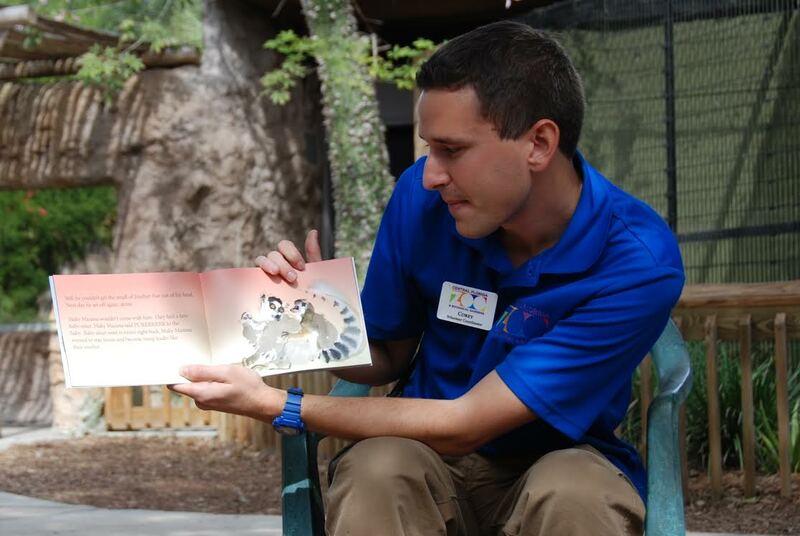 Educators help interpret the animals and tell their stories, adding meaning, and creating an emotional connection that leads to a behavior or attitude change. I fell in love with lemurs personally from the opportunities I had growing up to watch them and learn about them at a zoo. 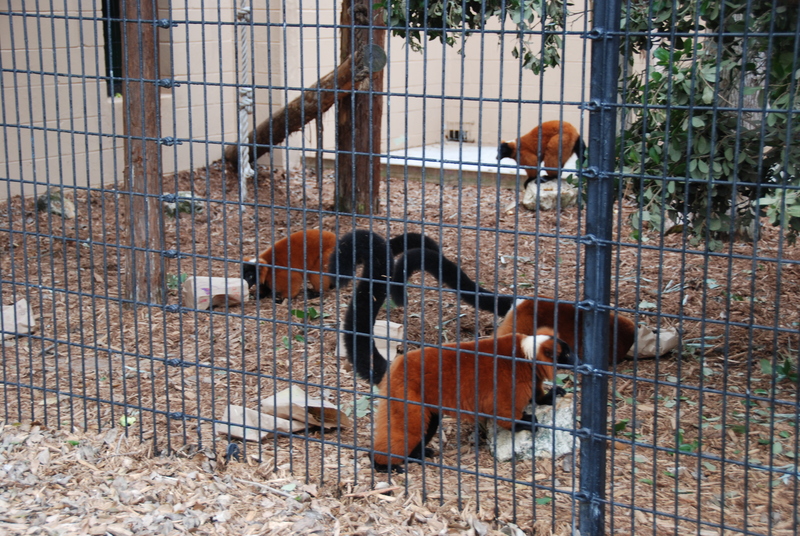 Why Focus Zoo Education Programs on Lemur Conservation? My inspiration to focus the Central Florida Zoo’s education efforts on lemur conservation came from reading the 2014 IUCN report (pictured right), which found that 94% of lemur species are threatened with extinction, making them the most threatened group of mammals on the planet. I realized that most people have heard of a lemur, but not enough people knew just how much they are in peril in the wild. 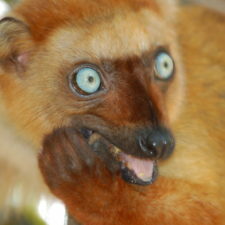 A lot of people, especially the younger generation, are aware of lemurs due to the film Madagascar. And while it is great that the film made kids more aware of these animals, it paints the picture that Madagascar is a paradise, unspoiled by man, which is far from accurate. 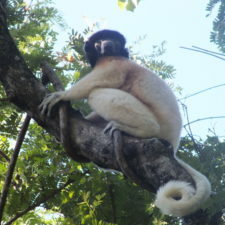 An estimated 90% of lemurs’ original habitat has been destroyed since humans arrived on the island about 1200 years ago, largely due to the traditional slash and burn agriculture techniques used throughout Madagascar, which are now unsustainable due to a significant spike in the human population. This realization—that lemurs are highly endangered yet most people do not even realize it— led to the creation of the first ever Lemur Conservation Day at the Central Florida Zoo. Lemur Conservation Day was created to promote awareness of the diversity of lemurs, their importance as keystone species in Madagascar, the threats they face, and how we can help. We leveraged the diversity of a zoo audience to inspire many to take conservation action, which included donating money to lemur conservation organizations. 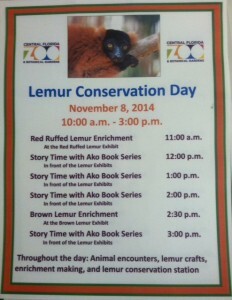 The first annual Lemur Conservation Day was held on November 8th, 2014. The Central Florida Zoo was one of the first and only zoos in North America to have an entire event focused on lemurs. The event raised money for lemur conservation through gate admissions and guest donations, and featured interactive and informative displays on lemurs and lemur conservation issues, special animal encounters, enrichment making for our red-ruffed lemurs and common brown lemurs, lemur-themed crafts and games, and storytelling from the Ako book series. Guests visiting the Zoo on Lemur Conservation Day had the option to ‘round up for conservation’, meaning they could round their admission price up five cents, with those five cents going to the Lemur Conservation Foundation, which we established as our partner conservation organization for the event. The Lemur Conservation Foundation provided us with individual Ako books and book sets, which we gave to guests who donated to the Lemur Conservation Foundation. They could get one book for $2 or more, and a book set for $10 or more. 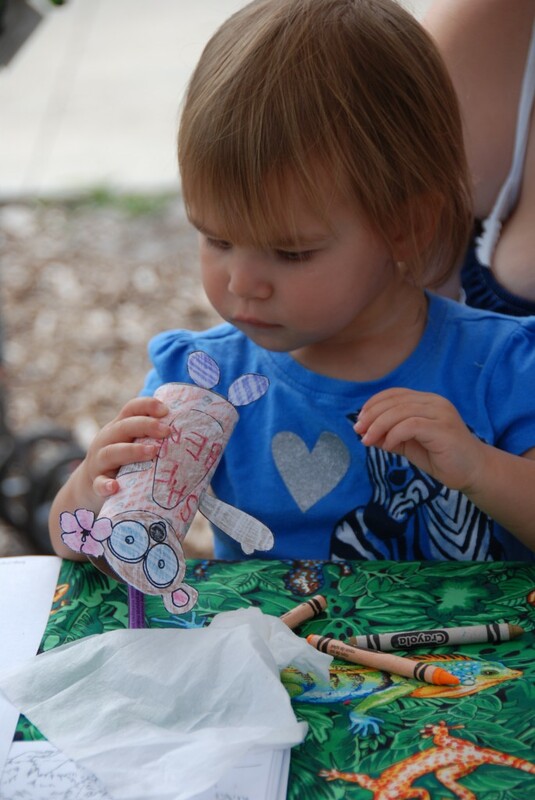 Children enjoyed lemur-themed crafts and games. In order to effectively teach zoo guests about lemurs, raise awareness for their status in the wild, and inspire conservation action, we had various posters, special signage, and educators around our lemur habitats. 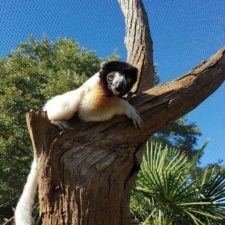 These focused on lemur natural history and fun facts, the diversity of lemur species, their importance in the wild and to the people of Madagascar, the threats they face, and every day actions guests could take here at home to help protect the lemurs. Some of the posters were donated by Lemur Conservation Foundation, and others I made myself. The lemurs at the Central Florida Zoo received special enrichment treats for Lemur Conservation Day. Of course, the stars of the event were the lemurs themselves. We had keeper talks throughout the day that highlighted lemur behaviors and conservation status. As a way to provide the guests with a personal connection to the care of our lemurs, guests had the opportunity throughout the day to decorate bags and stuff hay in the bags. These bags were then further stuffed by the keepers with fruit, and given to the lemurs as enrichment, zoo-speak for a special treat. The Ako book series is a set of six children’s books written by the late primatologist Dr. Alison Jolly about the adventures of various lemurs in Madagascar. Each book focuses on a different lemur species, including the aye-aye, ring-tailed lemurs, indri, red-ruffed lemurs, and mouse lemurs. The stories feature beautiful art, and engage the readers through movement and sound. 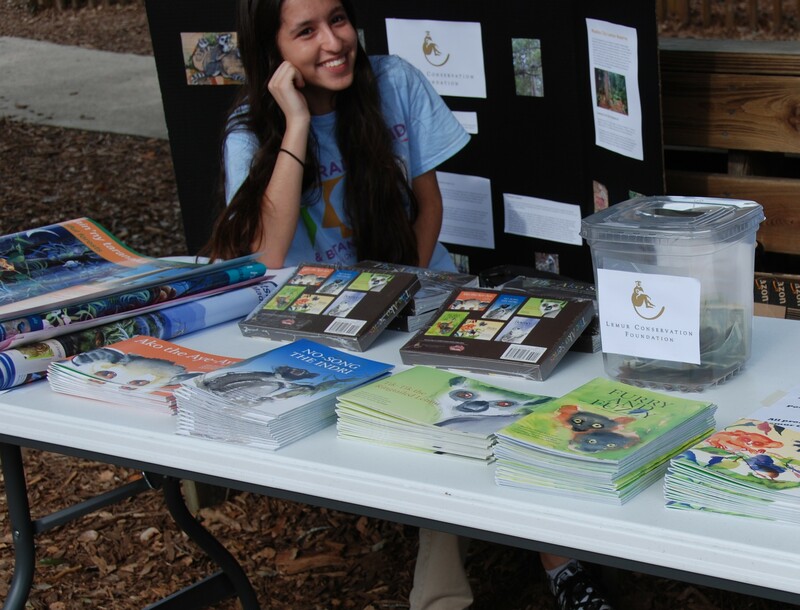 In addition to Lemur Conservation Day, the Zoo also uses these books in a school and library outreach program in the local community. 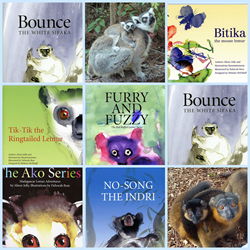 At these events, an educator will read from one of the Ako books and then teach the children in attendance about the importance of lemur conservation, and what they can do to help. 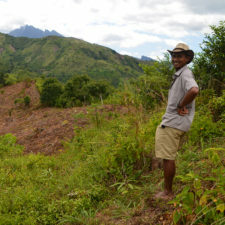 We also bring some Madagascar-native animal ambassadors, like the tenrec and hissing cockroaches, to speak to the importance of lemurs to other fauna and flora in Madagascar. The children then get to take home an Ako book of their own, to hopefully continue their desire to learn about and appreciate lemurs. Corey reads the Ako Series to children at the zoo. In the very near future, the hope is to have a variety of educational activities that can be paired with each Ako book, to be taught at zoos and in classrooms around the world. Children around the globe hold the keys to a sustainable future for all wildlife, including lemurs. 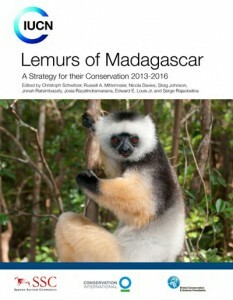 By exposing children to lemurs at a young age via fun activities at zoos or in their classroom, and inspiring them to start taking simple conservation actions, we are shaping and growing the future conservationists or philanthropists that one day might just put an end to the eminent extinction of lemurs. This year’s Lemur Conservation Day will be held on November 7, 2015 to coincide with the World Lemur Festival at the end of October! » Learn more about the event! Find educational resources and start your own lemur education program where you live!